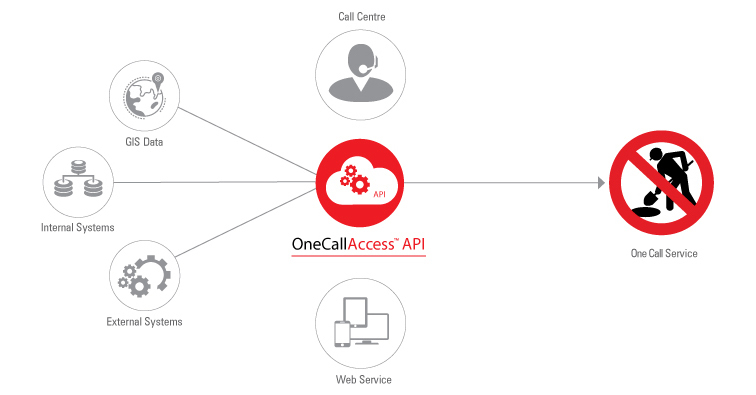 The OneCallAccess API is a web service which provides organizations a simple and cost effective method to integrate their business processes with their One Call service. The automation provided by the API is controlled by you and the system that you integrate with for submitting jobs, resulting in significant savings of both time and resources. Trigger One Call inquiry submissions at pre-defined points in existing workflows based upon your business rules. Eliminate the manual effort required for submitting inquiries, resulting in significant cost reduction. Safer for you. Safer for users. API utilizes per-user inquiry based authentication run via an encrypted channel. Seamlessly integrate the source of your One Call inquiries, i.e. 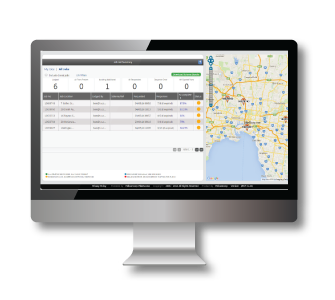 works management/planning systems directly with the One Call system. How does OneCallAccess API work? Linking works management systems (or the source of your One Call inquiry) to the One Call service with the OneCallAccess API creates a streamlined and controlled process based upon your own business rules. For example: at a pre-determined time a One Call inquiry can be automatically triggered prior to works commencing, ensuring adherence to OH&S standards, protecting your staff and assets.